Pet owners are liable for mental trauma and physical injury caused by dog bites. In cases where someone was injured by a dog or another pet, the owner of the dog and the property owner (if different) may be held liable for the victim’s physical injuries and psychological trauma. Accurate records of dog bites and animal attacks are not available in Canada, nor are dog attacks being tracked in Ontario. For this reason, it is difficult to ascertain how serious a problem ‘dog bites’ are in this province. Also problematic in tracking this issue is that some people do not report when they were bitten by a dog, for various reasons: if their injuries seem minor; they are reluctant to issue a formal complaint about a neighbour’s dog; or if the owner of the dog is unknown. Toronto Animal Services estimates that about 30 per cent of dogs in the GTA are licenced, however, there is no way of verifying this number so we really don’t know how many dogs live in Toronto or similarly, in any community in Ontario. Further, since a large percentage of dogs are unlicensed, correspondingly, many animals likely have not received recommended immunizations such as rabies shots. The Canadian Veterinary Journal report on fatal dog attacks in Canada from 1990-2007 concluded that one or two Canadians are killed by dog bites annually, based on reports by Canadian press. In Canada, these deaths more often result from attacks in rural areas by sled dogs or multiple owned-dogs (in packs). Huskies, Rottweilers and mixed breed dogs were responsible for the most fatalities. Experts suggest that in a pack situation, when even one animal initiates an aggressive act, whether a nip or serious bite, even benign dogs may join in on an attack until the person is killed or the dogs are successfully driven away. In this Canadian study of dog attack fatalities between 1990 and 2007, a disturbing find is that 85 per cent of the victims were under 12 years old. Experts suggest that the reason that children are more commonly the victims of fatal dog attacks is that they are often curious about dogs but may lack the ability to read the signals when dogs are alarmed or aggressive and also less able to defend themselves if attacked. Dogs with the characteristics and appearance of pit bull breeds. A 2010 survey concluded however, despite the banning of pit bulls for five years, there was no significant decrease in the number of dog bites in Ontario, according to a National Canine Research Council report. In the United States, there are breed specific bans for a large variety of dogs in many communities. However, most dog experts indicate that dog breed or mix is not a particularly relevant factor in why dogs bite. For this reason, a large number of reputable organizations worldwide (including the American Humane Society, the Australian Veterinary Association and Centres for Disease Control and Prevention) do not endorse breed specific legislation. An American Veterinary Association survey over 40 years concluded that no one breed of dogs is disproportionately more dangerous than others. The National Canine Research Council recommends implementing improved ownership practices to reduce dog bites and dog attacks in communities. Choose a pet that’s compatible with your children’s ages and family situation. Aggressive dogs are less appropriate for families with young children. Don’t approach an unfamiliar dog without the owner present. Always ask an owner if it’s okay to pet their dog. Avoid sudden movements; let the dog come to you. In a confrontation, do not make eye contact, run or scream. Do not leave infants or young children unsupervised with a dog. Don’t closely approach unfamiliar dogs while they are eating, sleeping or caring for their young. If you are attacked or bitten by an animal in Ontario, the Occupiers’ Liability Act, 1990, governs the property owner’s liability in causing your injuries. This regulation requires occupiers or owners of a property to keep anyone coming onto their property reasonably safe. Liability for dog attacks on the owner’s or any property are specifically governed under the Dog Owners’ Liability Act, 1990 which states, “The owner of a dog is liable for damages resulting from a bite or attack by the dog on another person or domestic animal.” An owner of a dog may be liable for an attack even if the dog did not previously show a propensity to attack people. Dog owners may also be held liable if their dog attacks another domestic animal. Essentially, owners are liable if they did not use reasonable precautions to prevent their dog from hurting someone else. Pet owners who break laws, such as municipal bylaws requiring dogs to be leashed on public property, are particularly vulnerable to liability suits if their dog injures another person. In April of 2003, a woman was attacked by two Great Danes owed by a neighbour after she witnessed the dogs threatening a public health nurse and tried to call them off. She was bitten in the arm, hip and calves, causing two large bite wounds and three puncture woods which resulted in noticeable scars. One of the dogs had previously ripped the victim’s clothing and knocked her down, but that incident was reported only to the owners who did nothing to prevent the dogs from continuing to run around freely. As a result of her injuries, the victim was unable to perform household tasks for several months, and could no longer engage in pastimes such as walking and cycling due to fear of dogs and lingering pain. In a 2005 trial, Meloche v. Bezaire, the victim was awarded $30,000 in general damages, $10,000 in aggravated damages and about $600 in medical costs; the victim’s husband was also awarded $3000 in damages under the Family Law Act. Despite this serious attack, the owners did not curtail the dogs’ activities and the dogs were eventually seized on a court order in November 2003. Even in the case of non-severe physical injuries, the courts may award significant general damages (for pain and suffering) to the victims of dog attacks. In July 2008, a 48 year old woman was bitten by a large dog when she was walking on her way to work. She reported that she tried to cross to the other side of the street when it bared its teeth, but the dog grabbed her by the hip, threw her to the ground and bit her. She was pinned for a few minutes and screaming for help until the owner came and pulled the dog off. The victim was treated for rabies, pain and shock at the hospital. She continues to be afraid of large dogs. In Chatterton v. Cowan, 2010, the injured woman sued the dog owner, primarily for general damages for her pain and suffering, as her physical injuries were admittedly not severe. The court found the dog owner liable and awarded her about $12,500 including $8,500.00 for general damages. In September 2012, an 89 year old woman was allegedly attacked by an off-leash dog while she was walking on Condominium property that was commonly owned. Both the victim and owner of the dog were Condo unit owners. The injured woman sued the Condominium corporation and dog owner for her injuries. In Elbaum v. York Condominium Corporation No. 67, 2014, the Condo Corporation brought an action to dismiss the case against them. At the time of the incident, Condominium regulations banned pets on common property and also posted a sign that dogs were to be leashed. The counsel for the Condominium also argued that they are not an owner or harbourer of the dog and thus not liable for damages, under the Dog Owners’ Liability Act. However, the judge noted that even if the Condo Corporation is not the owner and therefore not liable under the noted Act, this determination does not preclude a common law negligence claim or claim under the Occupiers’ Liability Act. Therefore, a trial against both the dog owner and Condo Corporation will be required to determine liability. Although not consistently tracked, dog bites of various severity are a fairly common occurrence; most Canadians know someone who was attacked or bitten by a dog. The resulting injuries are sometimes minor, but in many cases they result in serious wounds and scarring. Often, dog attacks have a lingering psychological effect on accident victims, with symptoms such as anxiety, difficulty sleeping and a permanent fear of dogs. If you or a loved one was bitten by a dog or another animal, the following steps should be taken. Immediately wash off the wound. Inform the dog owner of the incident and ask about the dog’s rabies immunization status. If in any doubt whether the dog is immunized against rabies, visit a doctor immediately. Seek medical treatment for any dog bites that result in a puncture or tear and also get recommended treatment against infections and rabies. Report the attack to police. If the dog attack results in serious injury or psychological trauma, consult with a personal injury lawyer. The seriousness of your injuries has the most impact on the amount of compensation to which you are generally entitled in a claim for damages. 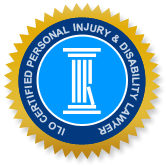 Injured persons may be eligible for any lost income they experience as a result of being injured, medical and rehabilitation costs, home maintenance and housekeeping expenses, an award for pain and suffering, and other expenses that arise from the accident or animal attack. The Injury Lawyers of Ontario (ILO) law group specializes in negligence cases pertaining to animal attacks, car accidents, slip and fall accidents, and other incidents of negligence. In most cases, your first consultation is free and will provide you with an opportunity to fully understand your rights, the potential strength of your claim, and your best options for seeking compensation for damages. Call an experienced ILO lawyer in your community today.